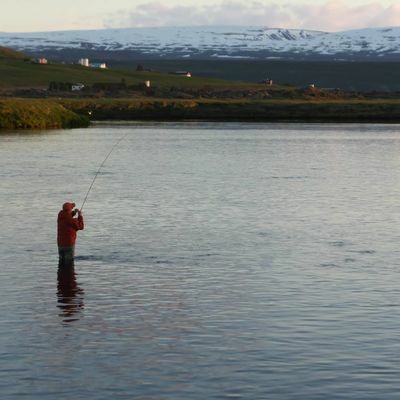 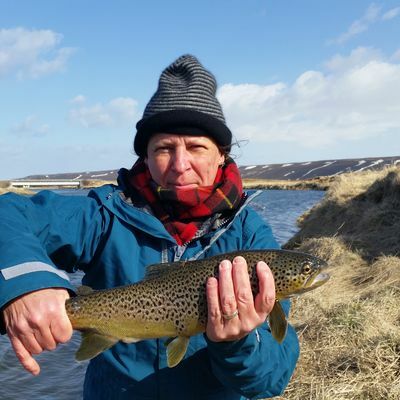 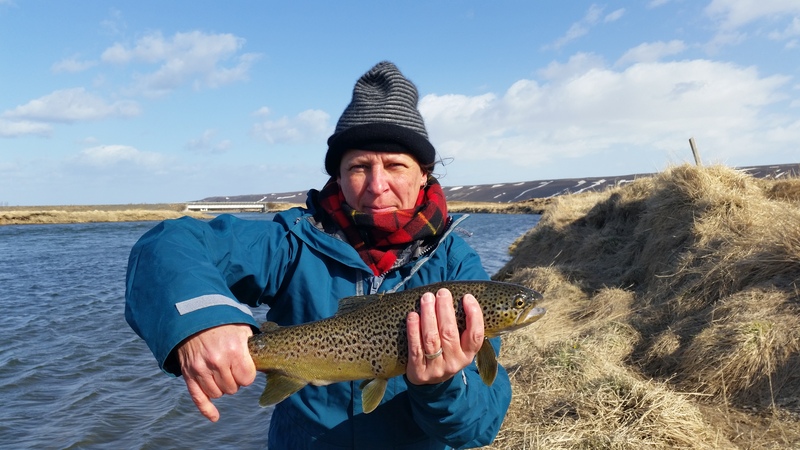 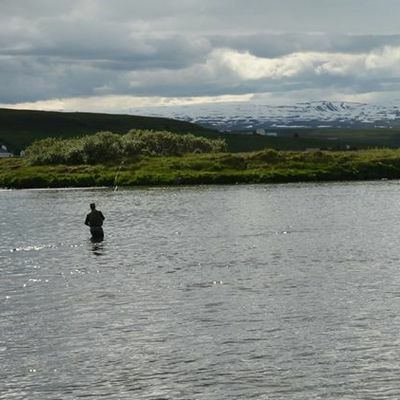 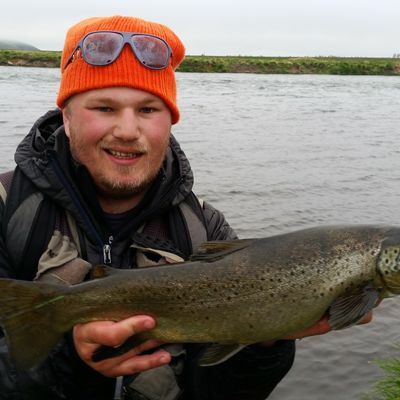 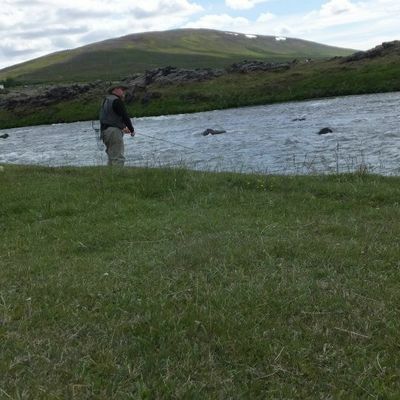 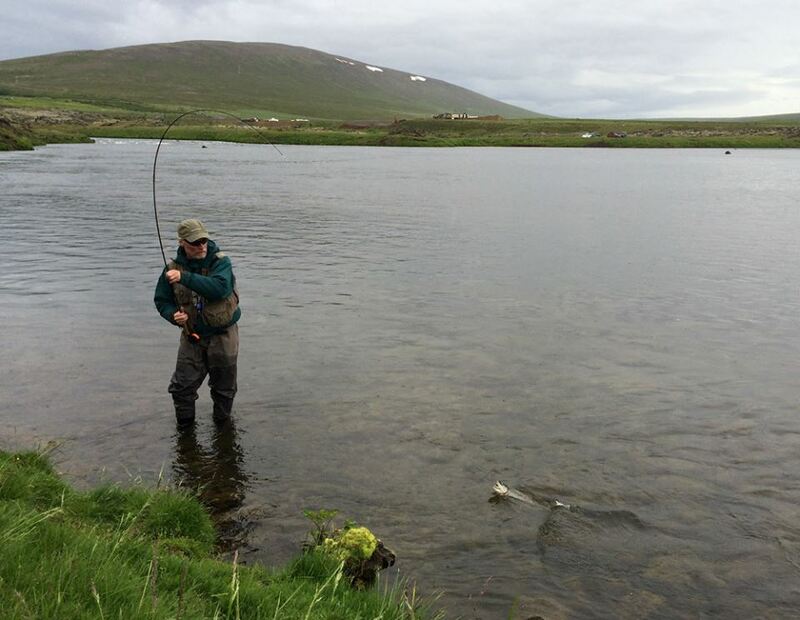 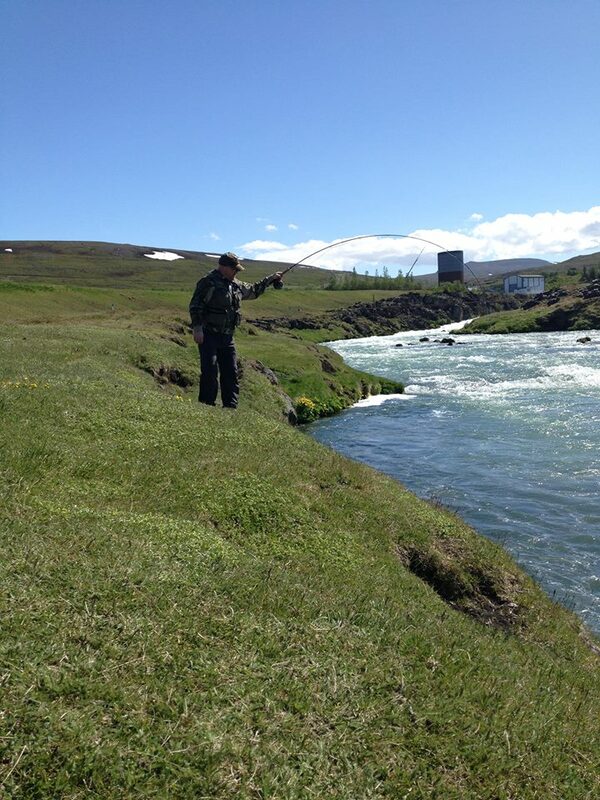 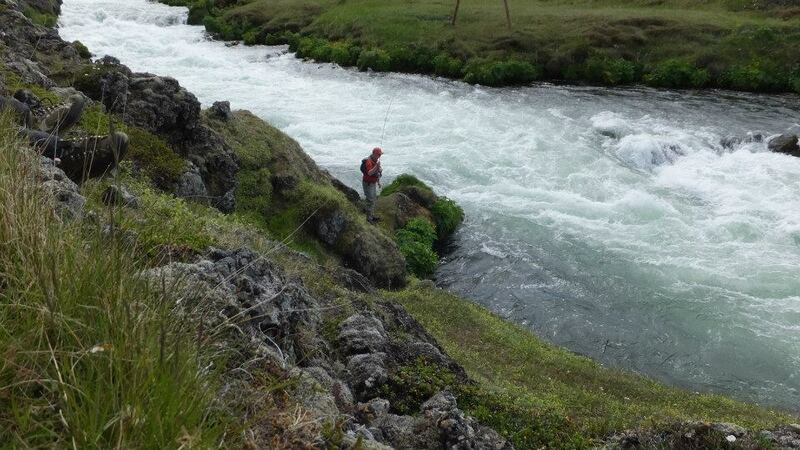 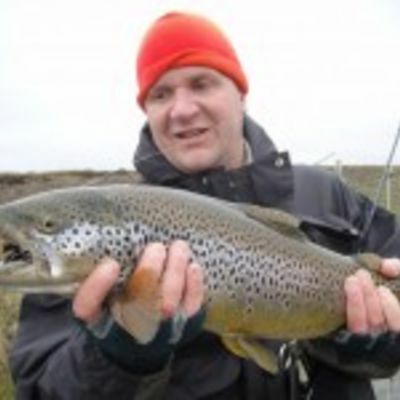 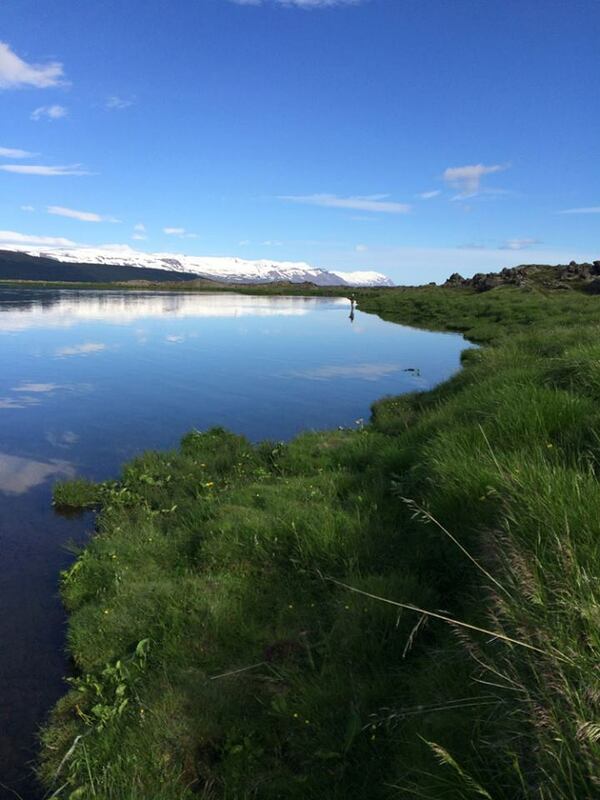 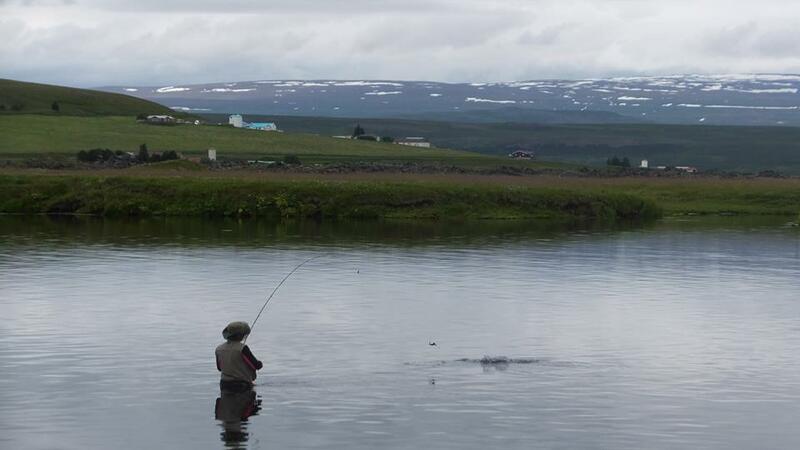 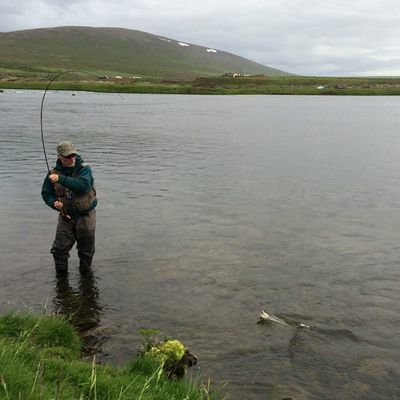 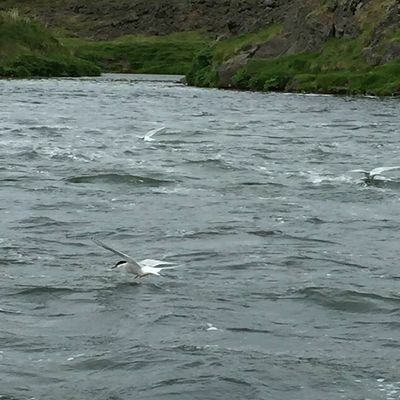 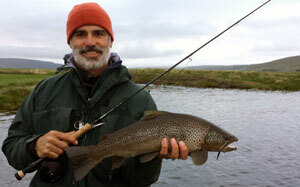 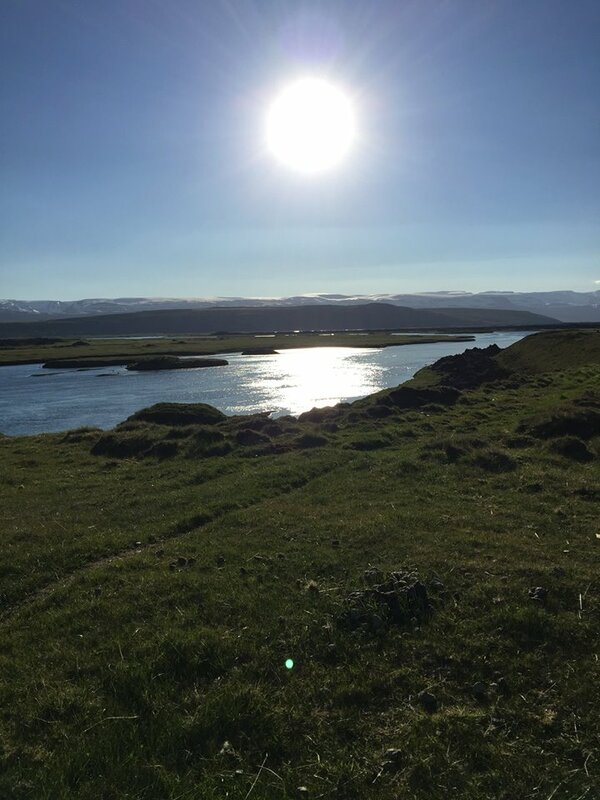 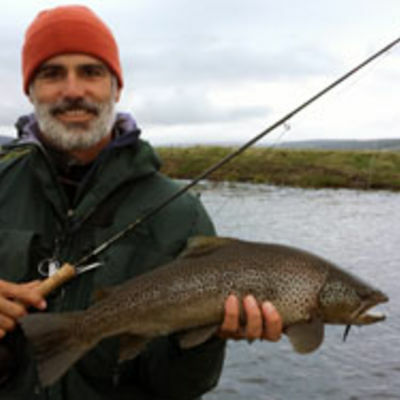 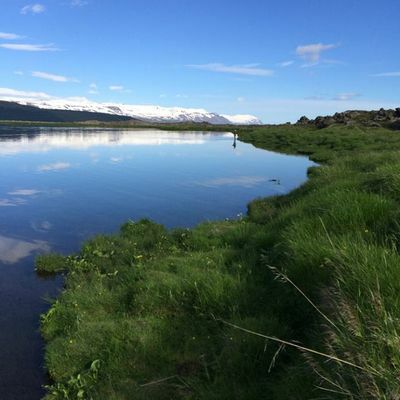 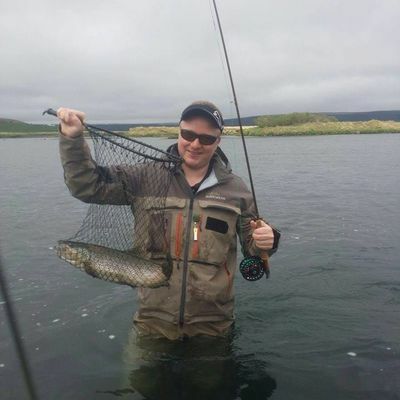 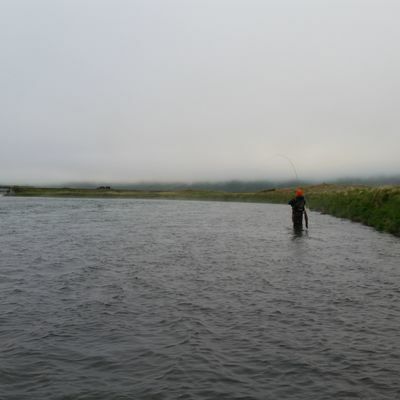 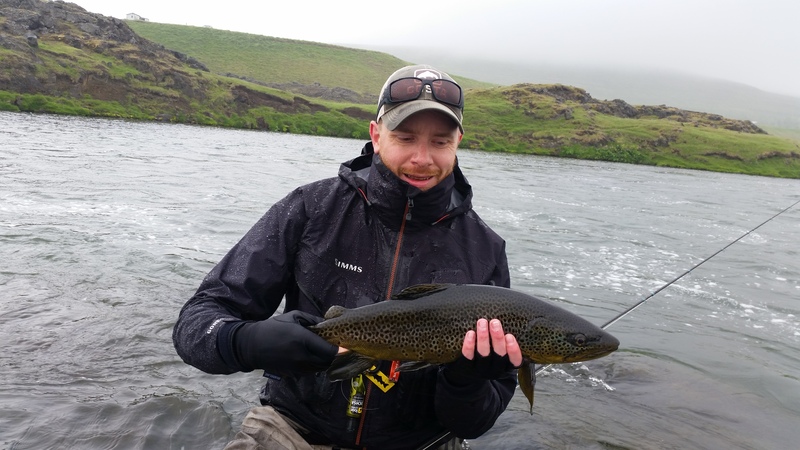 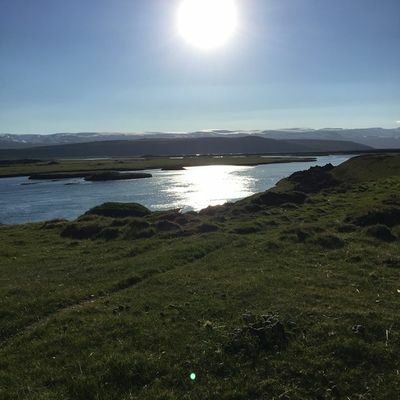 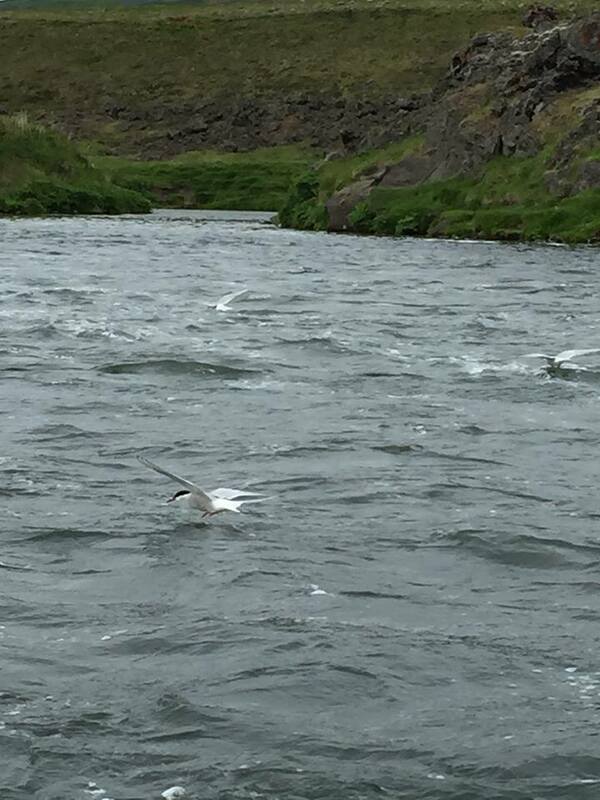 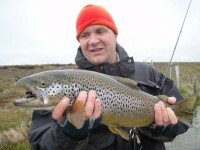 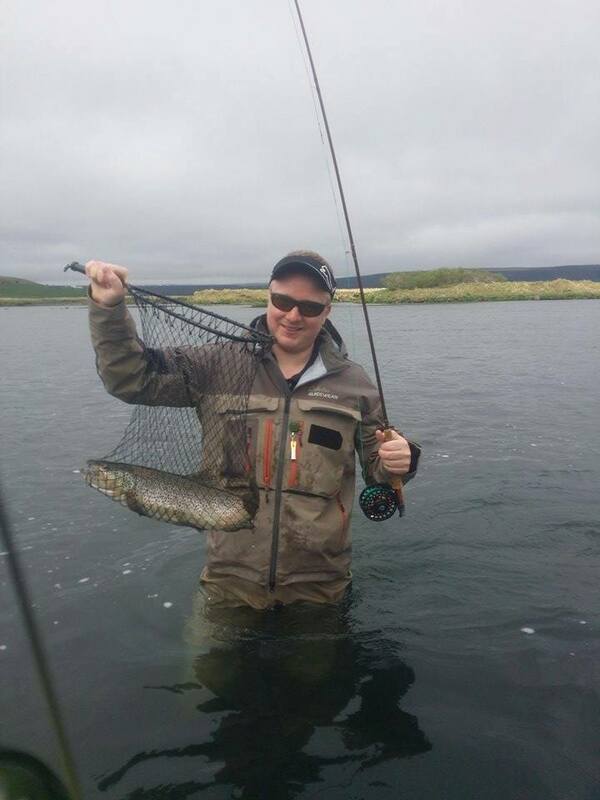 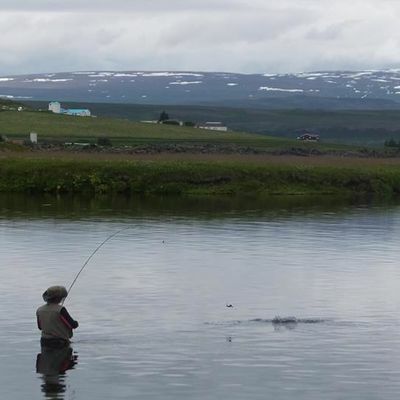 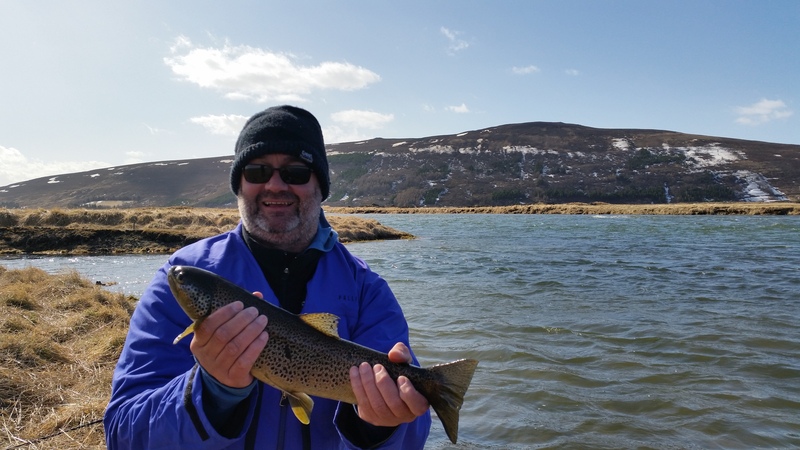 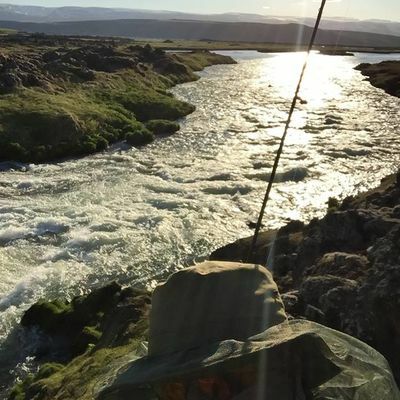 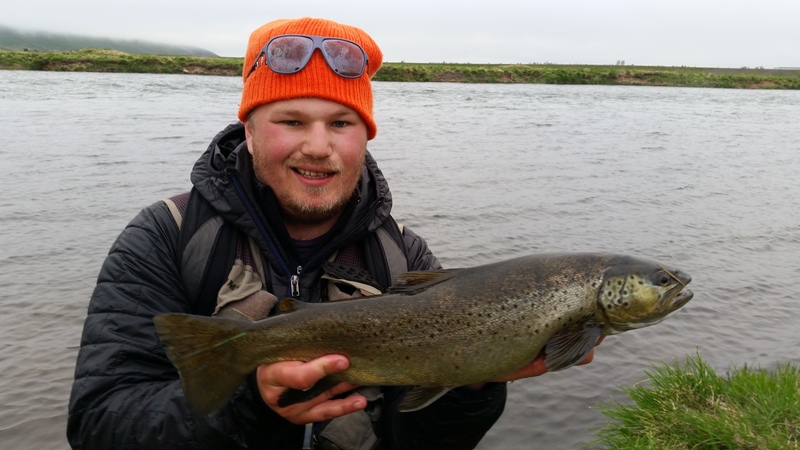 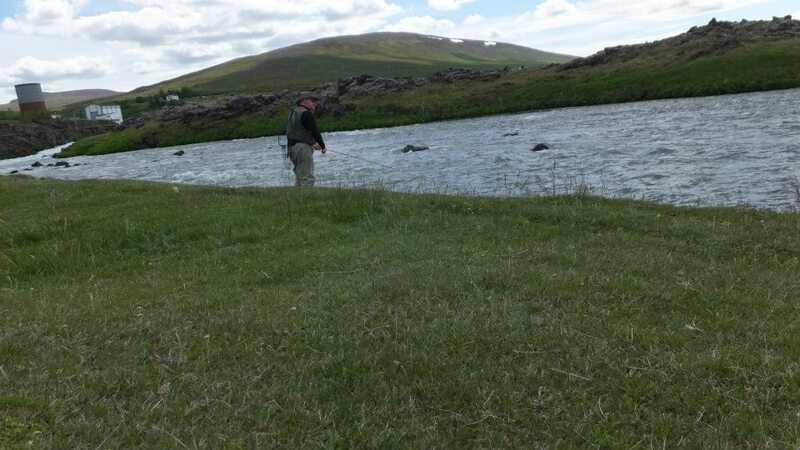 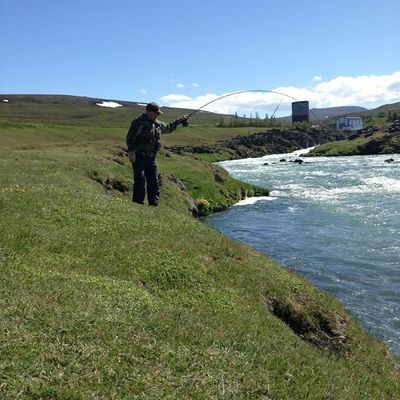 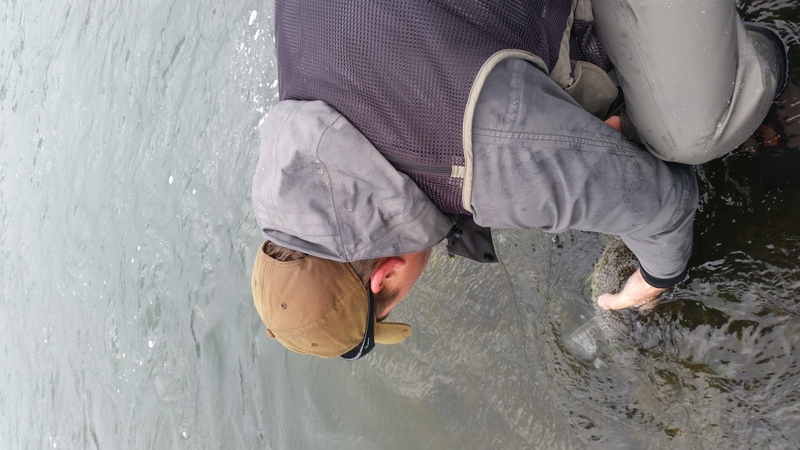 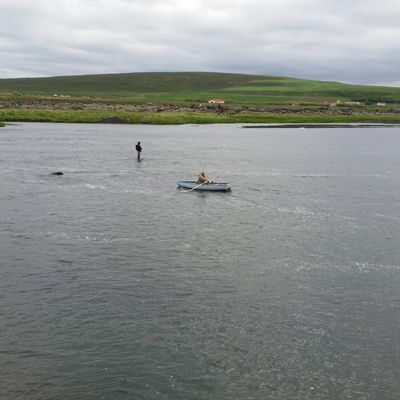 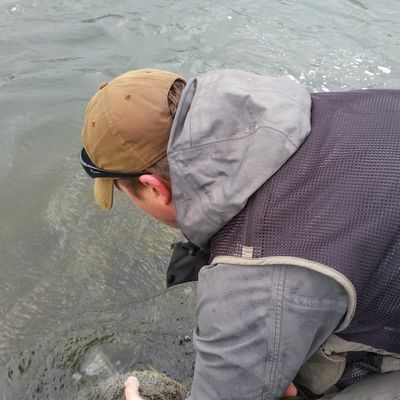 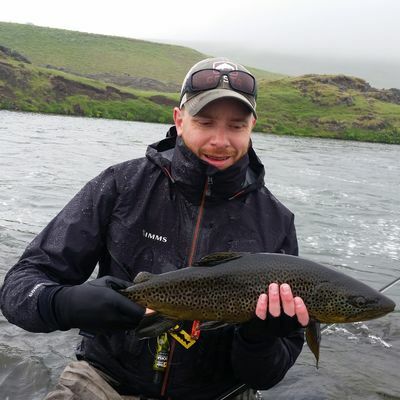 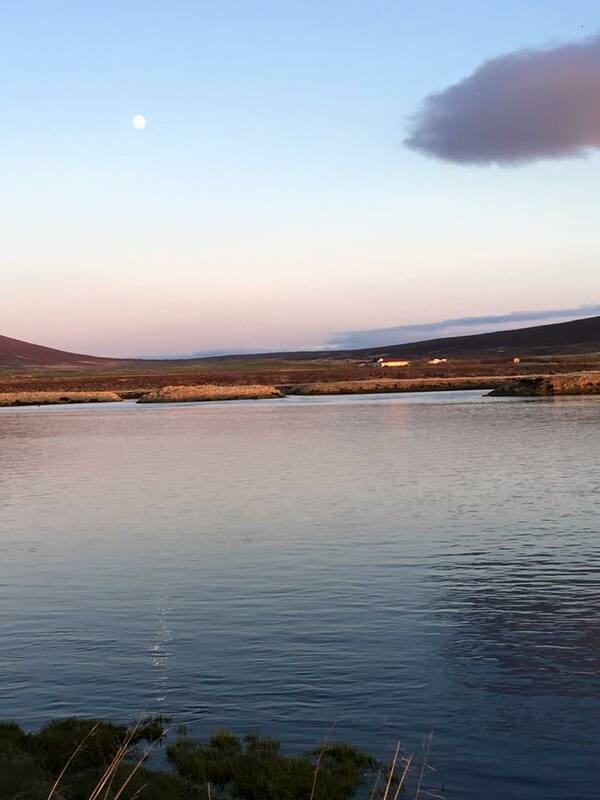 Iceland Fishing Guide – Fly fishing in Iceland – Salmon fishing in Iceland – Arctic char fishing in Iceland – Brown trout fishing in Iceland » Laxá in Aðaldal (Trout fishing). 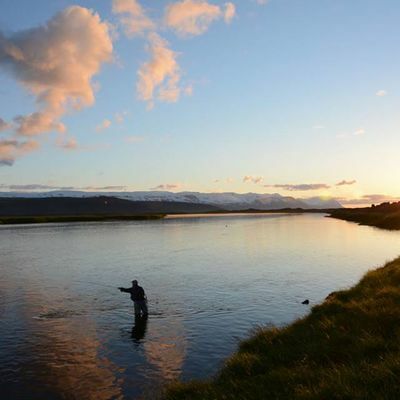 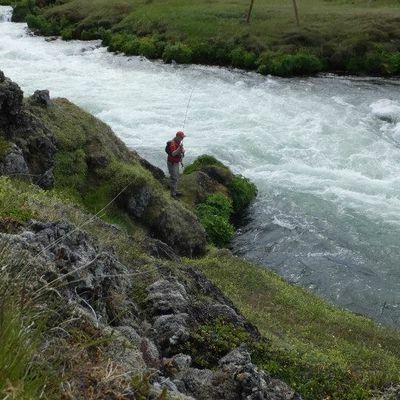 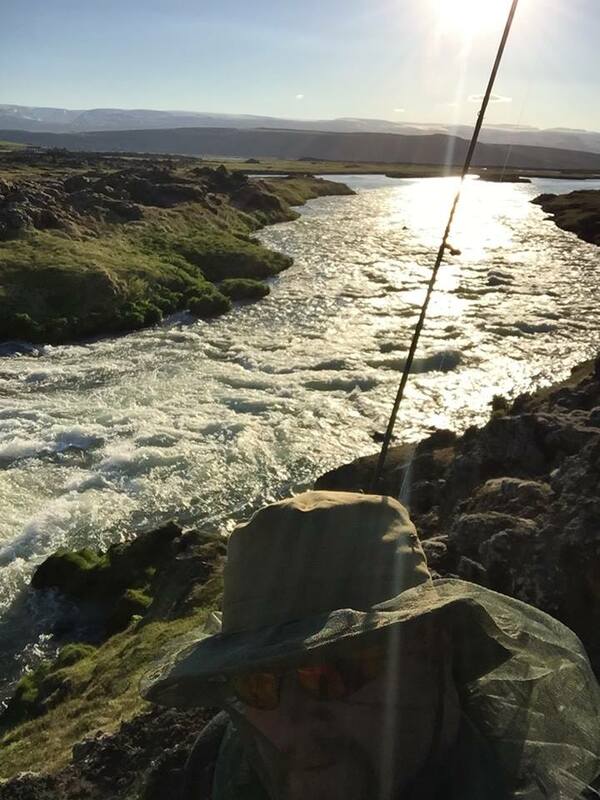 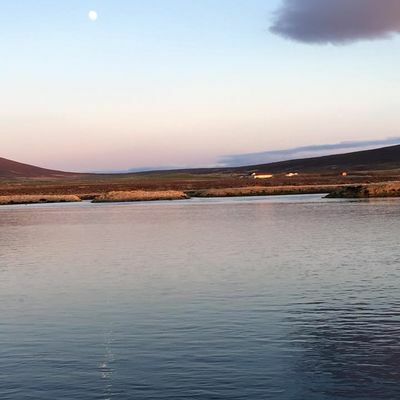 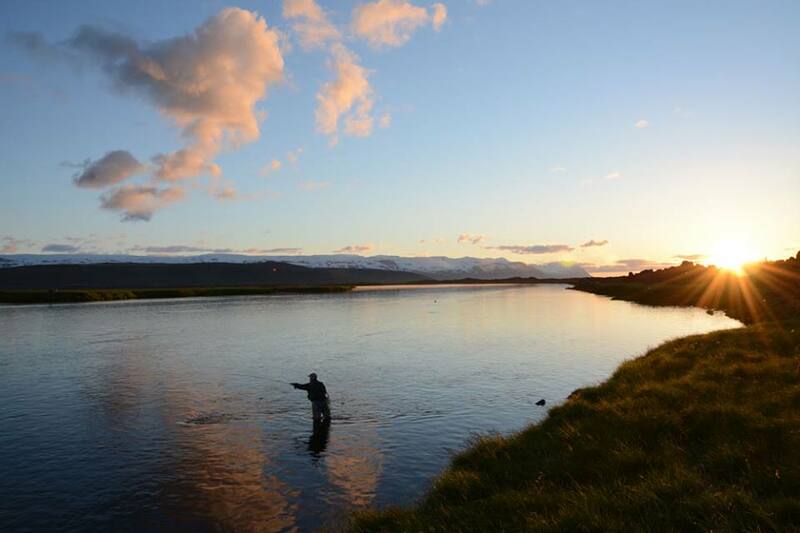 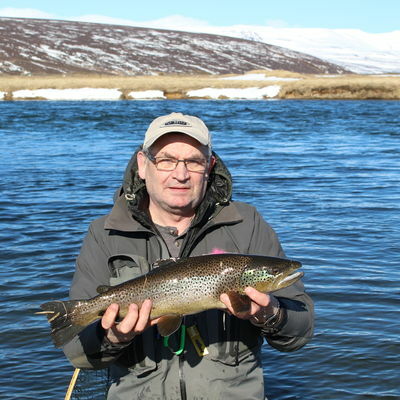 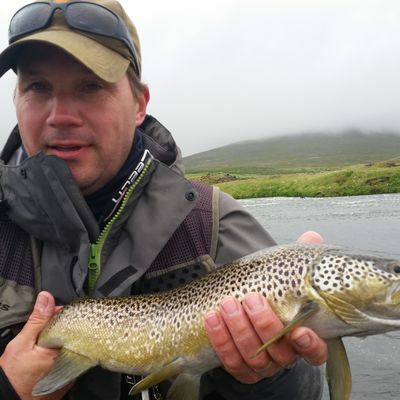 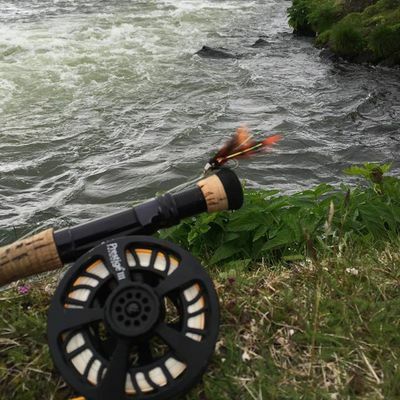 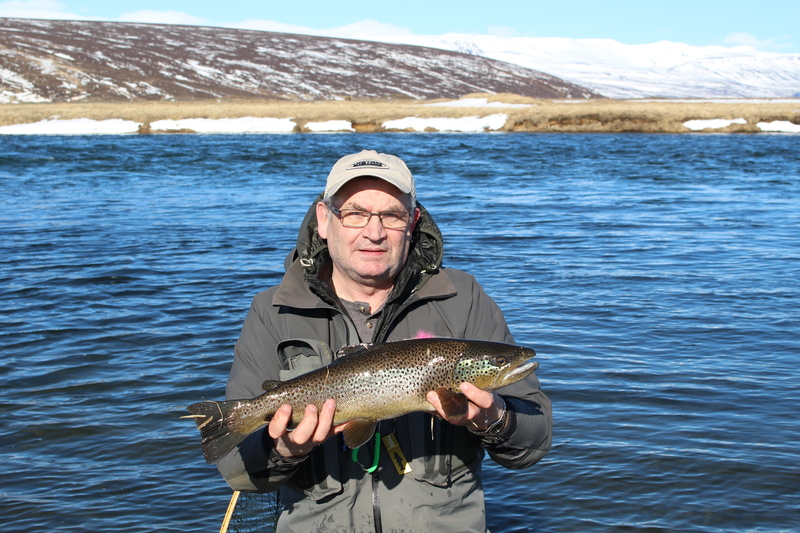 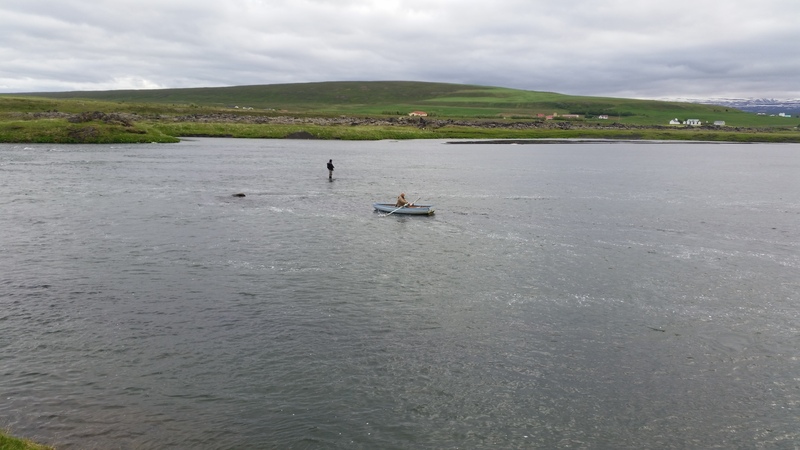 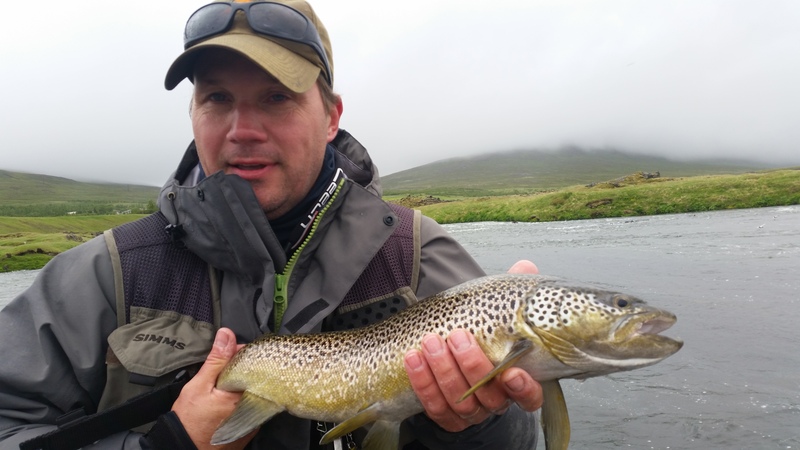 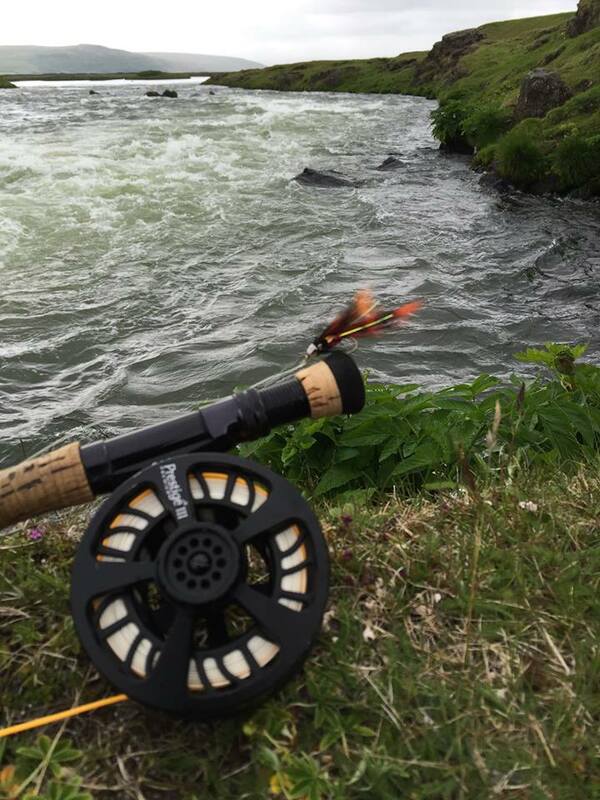 River Laxa is not only one of the best salmon rivers in Iceland in regards to size of the salmon but it is also one of the best brown trout river in the world with a very high average size of brown trout. 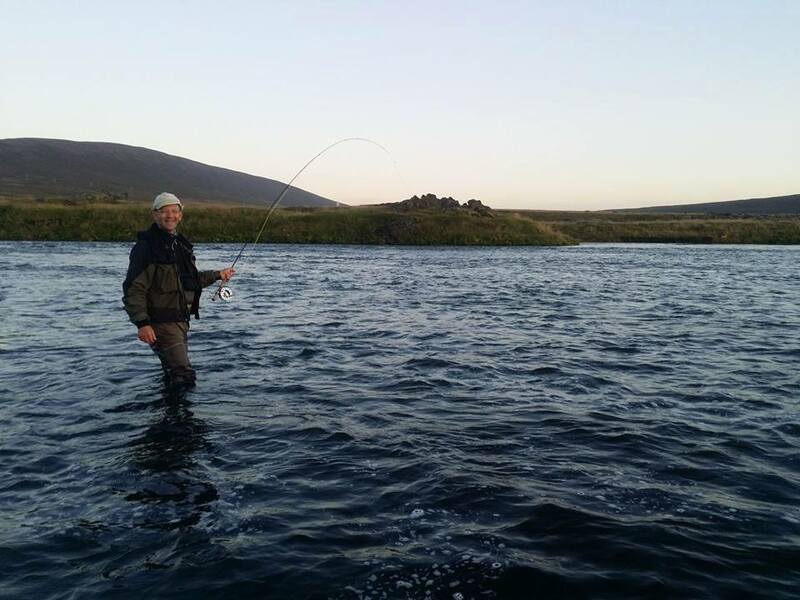 The Laxá origins in lake Mývatn and the river draws it’s name from the valley it runs trough on the way to the ocean in the Skjálfandi bay. 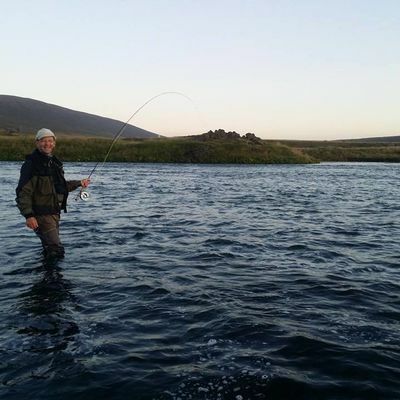 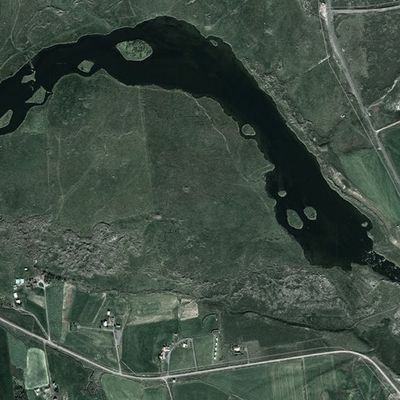 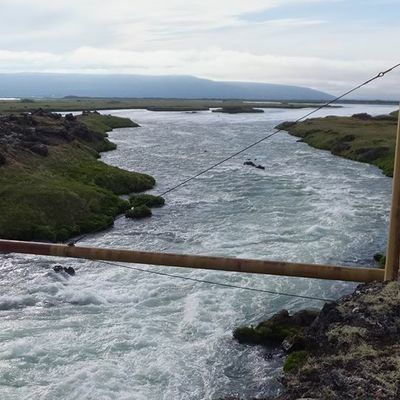 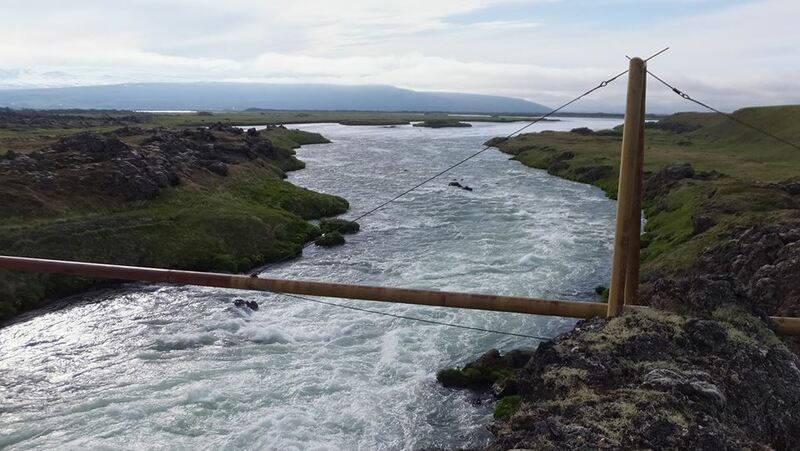 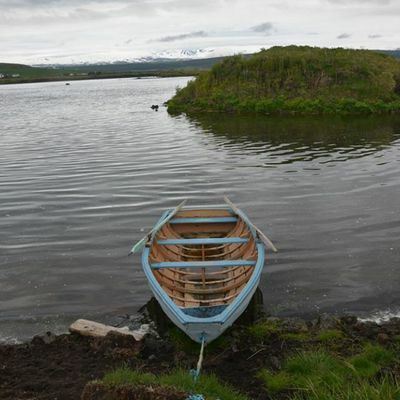 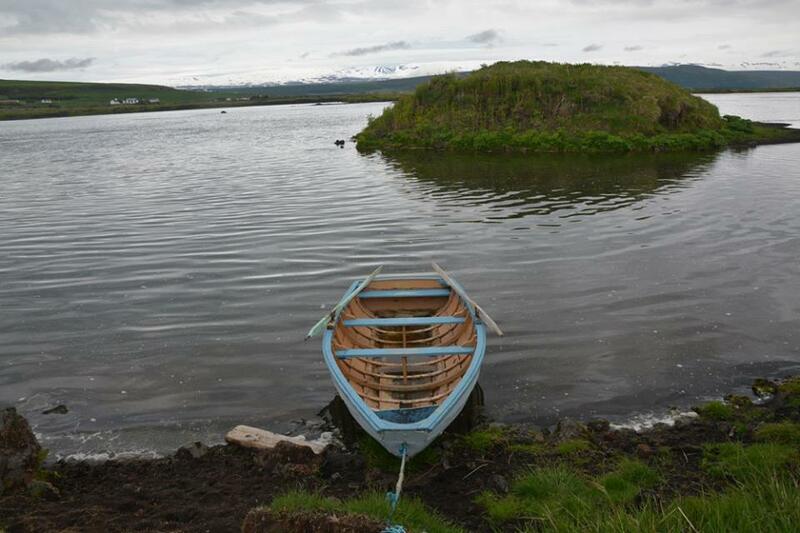 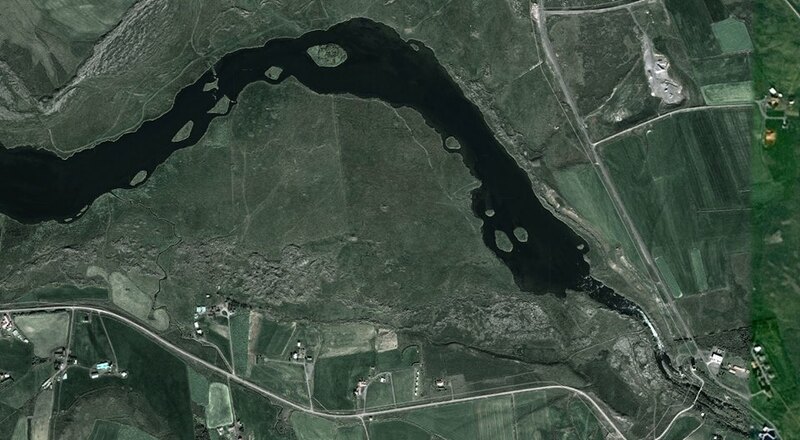 To explain, up in the Mývatn area it is Laxá in Mývatnssveit, as it runs through the valley Laxárdalur it is called Laxá in Laxárdal and then finally the bottom stretch that is also known for great big salmon Laxá in Aðaldal. 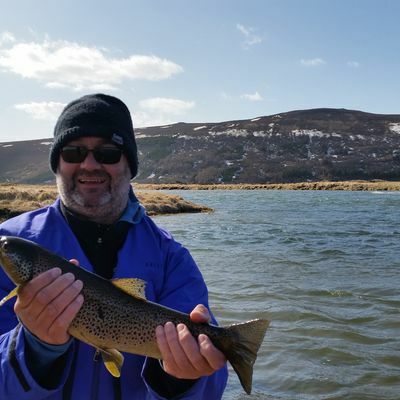 The average size of the brown trout is from 2 to 3 lbs with up to a few whopping specimen of up to 8 lbs caught every year. 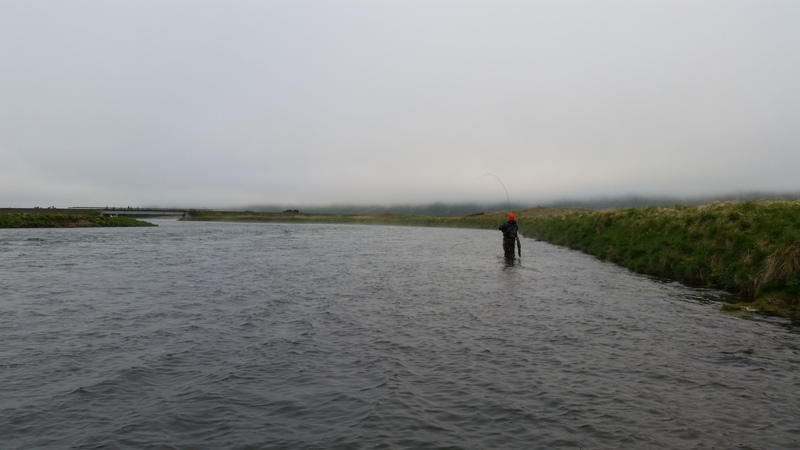 The lodging depends on the beat as some of the beats have their own lodging while for others we use the neighboring guesthouses.